Dr. Henry Thomas Jones, better known as Indiana Jones, is one of the most beloved film characters in history. While both Steven Spielberg and George Lucas have said that Dr. Jones isn’t based on anyone specific, there are a few people who had amazing adventures in the pursuit of knowledge, and who risked life and limb just to satisfy their own curiosity. So while none of the people listed here carried a bullwhip, they all faced dangers for the sake of preserving history. Born in 1922 and achieving his degree in paleontology in 1943, Wendell was 27 when he went on his first expedition to Africa. 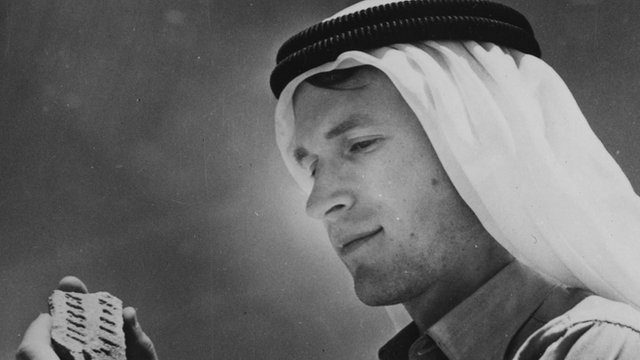 His most famous expedition came a year later — he led a team to a remote part of the Arabian Desert, in what’s now known as Yemen. The expedition, sponsored by none other than Dodge and Coca-Cola, led to Phillips and his team excavating two major sites. The first was the Qataban Kingdom of Tinna. The other was Marib, which was apparently the home of the Queen of Sheba. When the crew went to Marib, they left an area controlled by Britain. Not only did they have to do delicate excavations in an inhospitable environment, they had to do it while watching out for tribesmen. One man was beaten with rifle butts, while another was held captive for 28 days. They were finally run out when the tribesmen started firing rifles over their heads. Phillips never returned to Marib, but his findings showed how important the Middle East incense market was thousands of years ago. In 2007, the Afghan government sold copper mining rights to a Chinese mining company. To get to the $100 billion worth of copper, they have to go through the Mes Aynak archeological site. 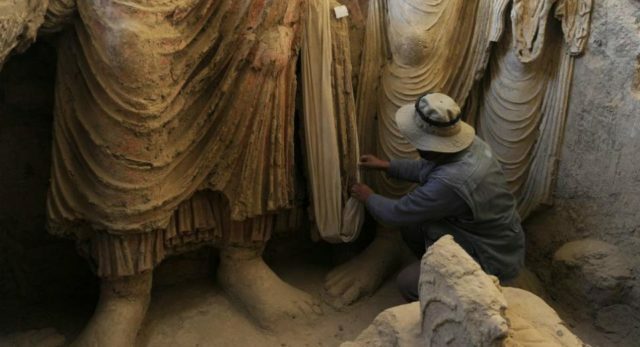 Mes Aynak is the home of a 2000-year-old Buddhist city and relics that date back 5000 years. When the mining rights were sold, only 10% of the site had been excavated. So Qadir Temori, the head of the Afghan archaeological department in Kabul, knew that it was up to him and his team to race the clock and excavate as much as they could. With pressure from the Chinese company, Temori and his team also had to avoid run-ins with the Taliban and deal with their own hostile government. The site was set to be destroyed in 2013, but the plan was pushed back to the end of 2015. Temori and his desperate excavation process was featured in a documentary, Saving Mes Aynak. Born in 1940 in Manhattan, Farish Jenkins was an artillery officer in the Marine Corps before he attended Yale. 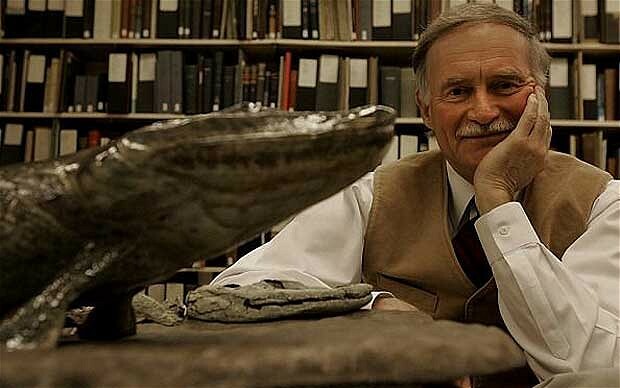 He graduated with a PhD, and while his title said he was a paleontologist, he had a berth of knowledge in areas that included anatomy, zoology and vertebrate paleontology. After graduating he became a professor at Harvard, where he was known as a charming and charismatic teacher. His personality wasn’t the only thing that made Jenkins a colorful character — he was also known for wearing his Czechoslovak rabbit-fur hat, sporting a pocket-watch and carrying a flask of vodka and a gun. His fieldwork took him to Africa, where he got a picture beside a black rhino. After the picture was taken the rhino charged at him, but he was able to make it back to his vehicle without being injured. He also traveled to northern Canada and Greenland to collect fossils, all while dealing with extreme weather and polar bears. While these expeditions were dangerous, they were also quite successful. One of his major finds was a fossil known as Tiktaalik roseae, a 375 million year old fish with legs, rudimentary ears and a snout. It serves as a clue as to how creatures started living on land instead of water. 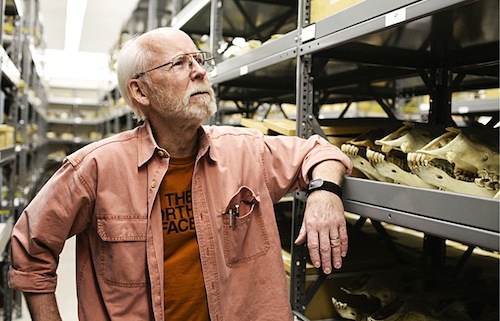 Jim Patton has been the curator at the Museum of Vertebrate Zoology at UC Berkley for over 40 years. Throughout Patton’s career he’s traveled to remote parts of the world to study mammals, and along the way he’s been shipwrecked five times. The first and most dramatic wreck happened off the coast of Mexico in 1966, while he was still a student. He and a Mexican fisherman were on a small rowboat when they were caught in a downpour that nearly sank their boat. The boat ended up smashing against the rocks in a cove, where they were stranded for 10 days and forced to survive on rats. Another time, off the coast of Costa Rica, his boat caught fire in the middle of the Pacific Ocean. He spent a day on a life raft with 13 other people. His final shipwreck happened in 1992 in a river in the Brazilian Amazon, when his boat sunk in less than a minute. So while he may be a great adventurer and curator, you may not want to get on a boat with him. Despite modern technology, there are still many areas in the world especially in South America, that remain unexplored. Due to the denseness of the Amazon rainforest, most expeditions need to be done on the ground. The man who’s leading many of the most successful searches is Ivan Šprajc, an Associate Professor at the Slovenian Academy of Sciences and Arts. 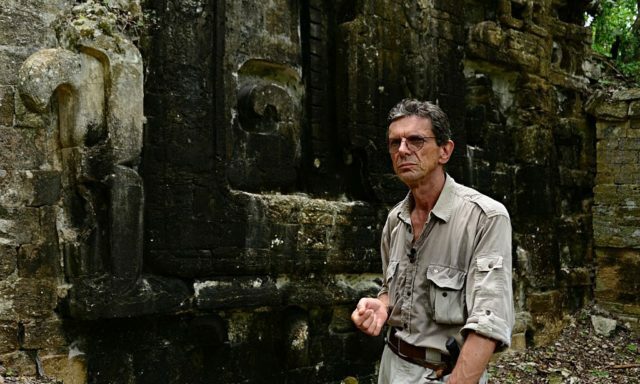 Šprajc went to university in Mexico, where he got his PhD in anthropology. He’s since gone looking for Mayan ruins any time he gets funding. Hiram Bingham III was born in Hawaii and earned a PhD from Harvard. In 1906 he began exploring remote areas of South America, and in 1907 he was appointed lecturer at Yale. His most famous find was in 1911 when he was hiking in Peru searching for Vitcos, the last capital of the Incas. Bingham’s Peruvian guide offered to show him some ruins he knew about, so they made a trek that involved crossing a log bridge tied together with vines. Then they had to climb a steep mountain slope.At the top, 2000 feet above the river below, they came across a series of walls. It was the ancient Incan city of Machu Picchu. While there’s some controversy over whether Bingham was the first Westerner to find Machu Picchu, he was definitely the first to go public. Today it’s a World Heritage site, and is considered one of the most important archaeological sites ever discovered. Born in 1897 in Manhattan, William Montgomery McGovern spent most of his childhood in Asia. As a child, his mother took him to Mexico just to witness the revolution. For schooling, he received a divinity degree from a Buddhist temple in Kyoto when he was 20, then got his PhD from Oxford at 22. 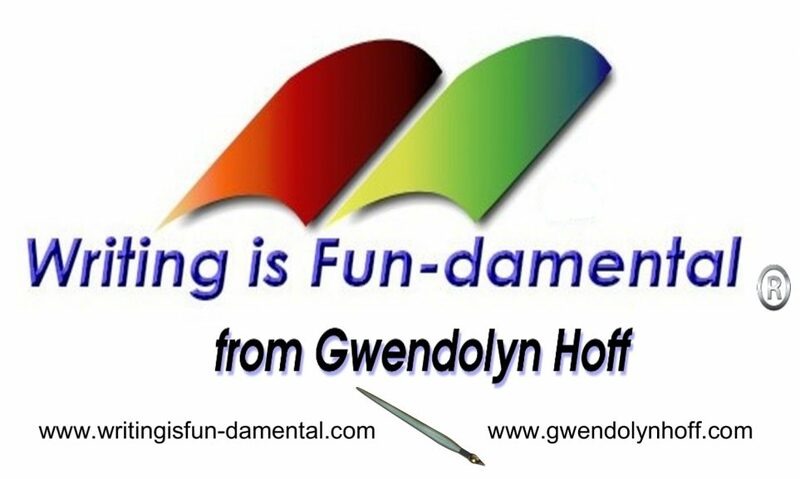 He also had a knack for languages — he spoke 17 of them and wrote an instructional book on colloquial Japanese. After finishing school, McGovern set out to explore remote parts of the world. His first adventure had him travel to the “forbidden city” of Lhasa in Tibet. He crossed the Himalayas, but during his trek there was a snowstorm and he came down with dysentery. Yet he was able to sneak into the city by wearing a disguise — he darkened his skin with walnut juice, put lemon juice in his blue eyes to make them darker, and wore the clothes of a servant. That made him one of, if not the first Westerner, to ever make it inside the city. Once in, he told government officials who he was and that he was sick. They hospitalized him, but when the local monks found out that an outsider had snuck into the city, they surrounded the hospital and threw rocks at it. McGovern put his servant’s disguise on, left the hospital and joined the angry crowd in hurling rocks. Just a few years later, he spent two years looking for Incan ruins in the Amazon and the Andes. McGovern lost one of his crew-members to drowning, and on another occasion McGovern was forced to shoot a 28-foot anaconda that was charging their boat. At some point McGovern and his crew were forced to live off of monkey meat, and he also participated in a ceremony with a Native tribe that involved drinking a hallucinogenic concoction. After his years as an adventurer, McGovern settled down and became a professor at Northwestern at the age of 32. He taught Political Science and, because of his unique knowledge of Asia, he was a special adviser to President Roosevelt during World War II. He died at the age of 67 in 1964. Born in 1867, Percy Fawcett came from a family of adventurers and explorers. Prior to Fawcett’s excursions, he was a member of the Royal Artillery and then went to work with the British Secret Service. In 1901, he started studying map-making with the Royal Geographical Society. In 1906, he set out on his first of seven trips to South America. He made some important geographical discoveries and incredible headway in mapping out previously uncharted areas of the continent. He saw things that were amazing to people of the early 20th century,like a 62-foot anaconda, a double-nosed Andean tiger-hound and giant Apazauca spiders. His reports about his trips to the Amazon inspired Sir Arthur Conan Doyle, a friend of Fawcett’s, to write The Lost World. 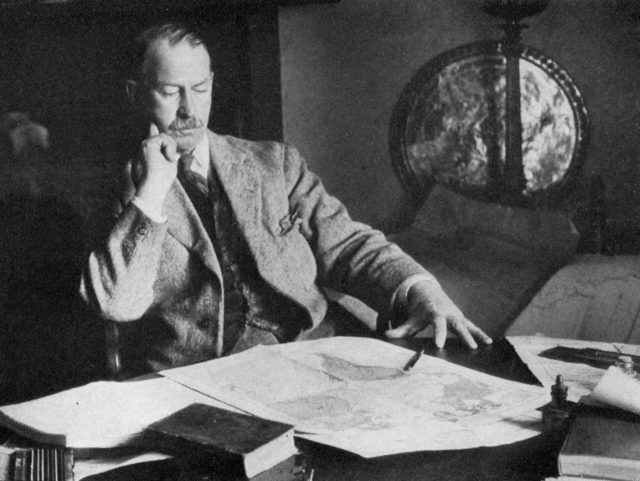 Fawcett is most famous for his theory about the Lost City of Z. After looking at local records and legends, he thought there was a lost civilization hidden somewhere in the Brazilian Amazon. Financed by a group called “The Glove,” Fawcett, his oldest son Jack, his friend Raleigh Rimell and two Brazilian laborers set off on April 20, 1925 in search of the Lost City. On May 29, Fawcett sent a telegraph to his wife. That was the last anyone saw or heard of Fawcett and his crew. Since then, many adventurers have tried to trace Fawcett’s footsteps to find out what happened. It’s believed that they either succumbed to to illness or were killed by natives. A fringe theory is that Fawcett never planned to return to Britain, but instead wanted to set up a cult in the heart of the Amazon. 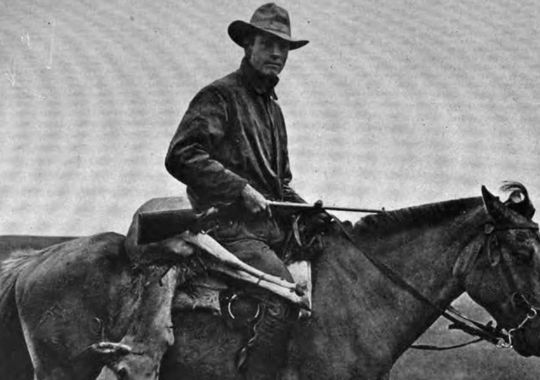 Born in Wisconsin in 1884, Roy Chapman Andrews finished his schooling in 1906 and got a job at the American Museum of Natural History. 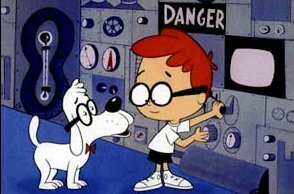 His main area of interest was marine life, and he traveled to places like Alaska, Indonesia, China, Japan and Korea to observe life and collect bones. During his travels he narrowly escaped death no less than 10 times — he was almost torn apart by wild dogs, he had a nasty encounter with a python and he was nearly killed by bandits. Andrews really gained fame with his expedition in the Gobi Desert. On the first expedition they found dinosaur bones, the first time dinosaur fossils were found north of the Himalayas. On their second expedition they found mammal fossils from around the same time period, which are incredibly rare. On the third expedition, Andrews and his team made a groundbreaking discovery — fossilized dinosaur eggs. Experts had long thought that dinosaurs laid eggs, but there had been no evidence of it. These expeditions weren’t without their dangers either. In one instance, Andrews was coming back from a supply run and was driving down a steep slope. At the bottom there were four bandits on horses holding rifles. Andrews sped up and scared off three bandits, before pulling up to the remaining man and shooting a hole through his hat. Another incident involved vipers that made their way into their camp — Andrews and his men ended up killing 47 snakes that night. Andrews wrote several popular books about his expeditions, and in 1934 he became director of the American Museum of Natural History. He retired in 1942, and passed away in 1960. One of the possible main influences for Indiana Jones was a German named Otto Rahn. Rahn is a bit of a legendary figure, and no one’s really sure what stories about him are true. Born in 1904, from a young age he was obsessed with the Holy Grail, the cup that collected Jesus’ blood as he was crucified. While in University, Rahn became convinced that a small Christian sect called the Cathars, living in what is now France, had the Grail. They were massacred in 1244, but from his research Rahn believed that three Cathar knights escaped. So in 1931 Rahn travelled to Languedoc, where the Cathars lived and died, and found a complex series of caves that had been used as an underground Church. Rahn wrote a book about his travels and called it The Crusade Against the Grail. The book caught the attention of Heinrich Himmler, the head of the SS. Like Rahn, Himmler was obsessed with finding the Grail. He wanted Rahn to join the SS, who would fund his search. Himmler was dead serious — he had a castle prepared to house the Grail. So Rahn, who was openly homosexual, joined the SS, telling a friend that he couldn’t exactly turn down a request from its leader. Rahn hunted for the Holy Grail without success, and Himmler grew frustrated. After Rahn was involved in a drunken sexual escapade with another man, Himmler sent him to be a guard at Dachau. What Rahn saw at the concentration camp disgusted him, and he sent his resignation to Himmler. That went about as well as you’d expect. In March 1939 the SS went kill Rahn, and he was apparently given the option of committing suicide. So he climbed to his favorite spot in the Tyrol Mountains and ingested poison. The 34 year old was found dead the next day. 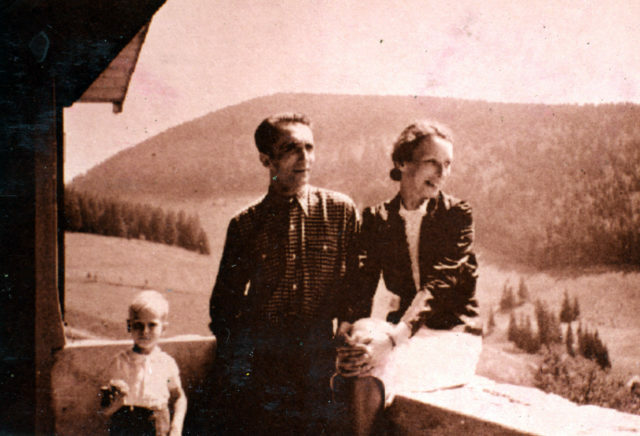 Rumors and legends persist that Rahn didn’t really die, but tricked the Nazis and escaped to live out the rest of his life in Italy.